Sometimes it’s hard to stay motivated… especially when it feels like you’re just treading water. I’m not getting far in my quest to find world-wide distribution (aka: taking over the world via children’s literature) and that becomes a mental battle. I want to continue with my children’s books – I feel that I have a great third book lined up, but at the same time, there’s so many obstacles that I still need to overcome. Well, the editors feel that I need to change “The Sunflower” into a love story, and well, I agree, it would make more sense, but it wouldn’t be the same story that I was trying to get across. 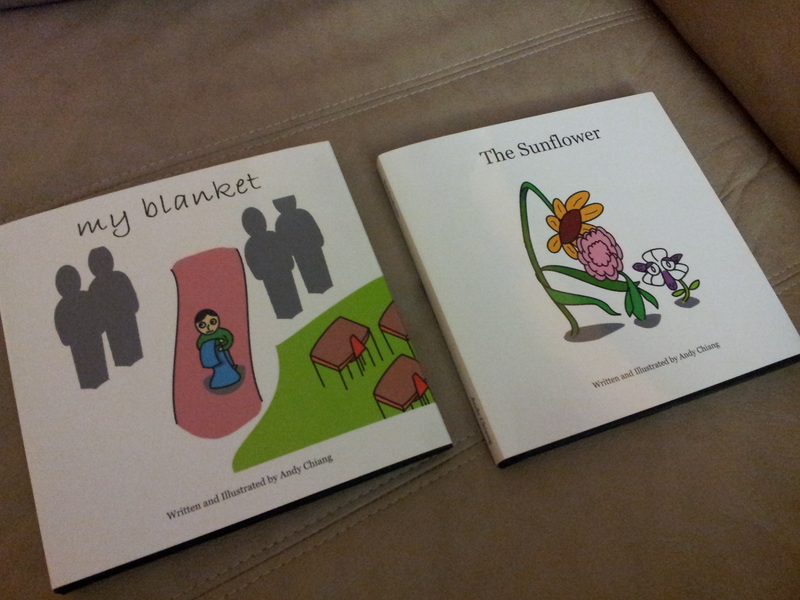 The editors also want me to change the pictures in “My Blanket” but honestly, I don’t have the drawing ability to change, and I kind of feel the childish drawings add to it. I guess I have a few choices, keep going until something sticks, or please the powers that be. I’m going to choose to keep going. I started this. I’m going to end it the way I want it to end.